Join us at the JW Marriot Chicago for a morning of sweating and supporting! 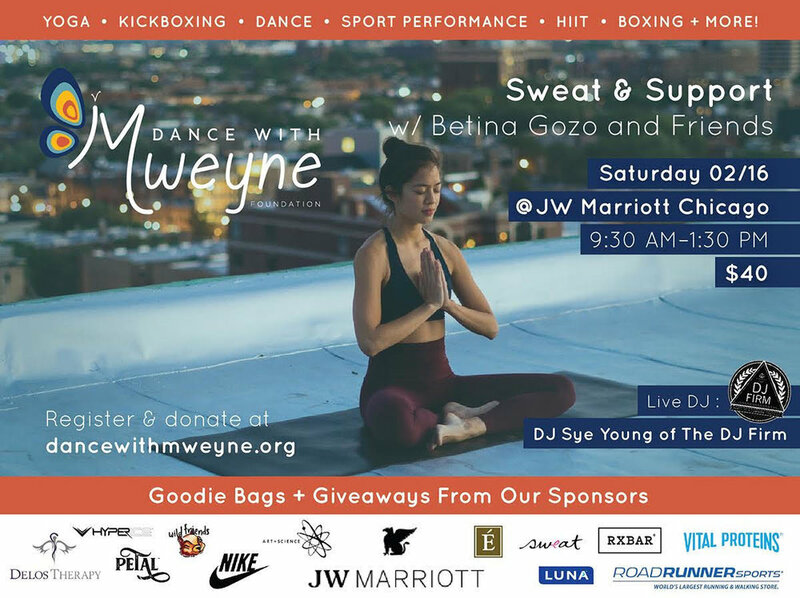 HIIT, Boxing, Yoga, and Dance all in one morning all to support the Dance with Mweyne Foundation! Nike, Vital Proteins, Luna Bar, RX Bar, RoadRunner Sports, Eminence Cosmetics, and more! All proceeds will go to the Dance with Mweyne Foundation. Sunday Stretch - Winter Edition!